So there has been an influx of Christmas gift guides hitting the blogging scene this past week, ‘cos y’know, there’s only around four weeks to go! Isn’t it crazy how quick November has come in?! Anyway, i figured it was about time i put together a quick guide for some bits and pieces i think the Mums, Wives, Girlfriends, heck, maybe even Boyfriends might like this Crimbo. First up in todays gift guide, is Gift sets!! Many a persons go-to for an all rounder of a Christmas present, the gift set offers lots of lovely sized products, packaged in wonderfully Christmassy boxes (which are fab for keeping afterwards) and generally are super worth while purchasing as you get a taste of lots of different products for the price you might pay for only one! I found this lovely Almond Gift Set from Womens Perfume L’Occitane to be a great all rounder for a Christmas gift, I’ve tried all of these products and i especially loved the shower oil – post leg shave, this stuff is perfect! Being a mum, my hands always need moisturised as i wash them so often and they’re super prone to drying out, the little hand cream in this set is not only the perfect size for a gift, but its great to toss in the changing bag and transfer to my handbag on the rare occasion i’m out without Wren. 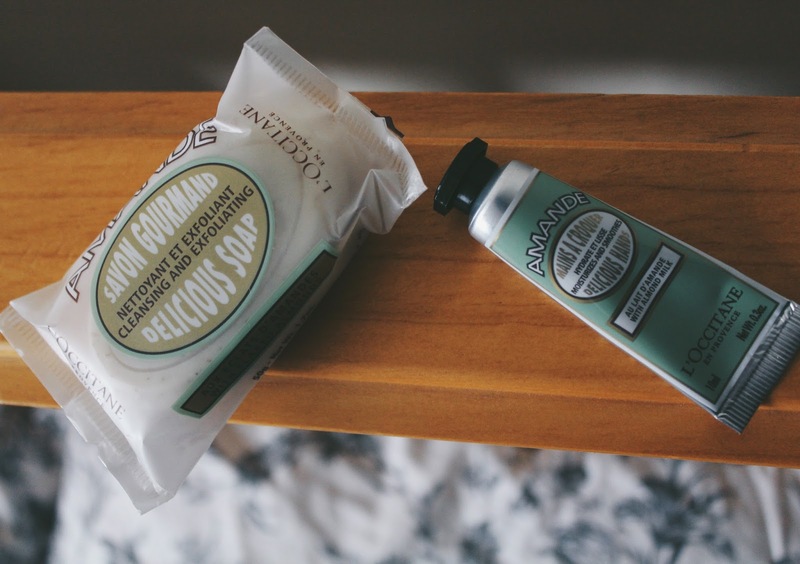 Not only do L’Occitane make some of the best smelling perfumes, soaps and skin products around, they make a cracking gift set! And bonus, most of them are packaged is lovely Christmas boxes, so you don’t even need to worry too much about the wrapping… check out this Christmas Bauble set for example. Now being a Wife, Sister, Mother and general perfume loving female, i would love a gift like this! So there’s three bases covered already! Now, i wonder if any of my family will read this?… hint hint guys! A bit of an Alternative to the generic glossy wrapped present is a magazine subscription. Most people, when asked, will struggle to think of what they want for Christmas. And most will forget that each month they spend a few pounds on their favourite magazine. So, why not take on that small monthly spend for them? Sign them up to their favourite fashion, food, home or lifestyle mag. Plus, it’s the gift that keeps on giving, for a year at least, and it will be a nice little surprise each month when it drops on the mat too. Sites such as Newstand offer hundreds of magazines, for one off purchases or subscriptions. Anything from the most popular to the most obscure. Whatever your gift receiver is into, there is something up there for them! Since becoming a mum my Skincare routine has somewhat… simplified? I now wash with soap and apply a facial oil. Every morning and every night. My skin has never been better, even with the eye bags. Do you know someone who could do with a bit or r&r this Christmas? Do they have a busy lifestyle and could benefit from slowing down a little? Why not treat them to a bit of a face intervention with the Herbivore Botanicals range? It is lovely and gentle, uses natural ingredients it’s plant based, organic and food based… so basically, you could eat it. I wouldn’t advise that it would taste too good, i’d stick to the Turkey, but you get the idea! I’ve recently discovered Nathalie Bond. An all natural, organic skin care and candle range founded by Nat and her husband Andrew. After having her baby, Nat made the decision to stop using all products that were packed with synthetic chemicals and developed her own range of skincare that is 100% organic. The range uses essential oils and natural butters that can all be sourced sustainably. Not only is this a fabulous brand and product for anyone, but Nat and Andrew also give a percentage of their profits to World Vision helping children in some of the poorest communities in the world. So buy something from Nat and you’ll be giving a little something back to children who need it most, this Christmas. I’ve been following Rebekah over at Lines and Current for sometime and i’ve made a good few purchases from her online range. You’ll notice that in lots of my photos i wear my ODA ring as it rarely leaves my thumb. Recently, Rebekah has launched a new range that includes Petra, the pendulum drop ball earring. Simple, sleek and stylish. I love them, if you know someone who’s like me, who likes their jewellery to be understated then this is the range for them. “Jewellery, for girls who don’t wear jewellery” is the perfect way to describe it, and you’ll get mega brownie points for getting them something they’ll love this Christmas. Thank me later, guys. If you’re looking for a little stocking filler, this chocolate from Ocelot is the perfect gift. Made right here in Scotland, more specifically Edinburgh. Ocelot is a company run by couple Matt and Ish. 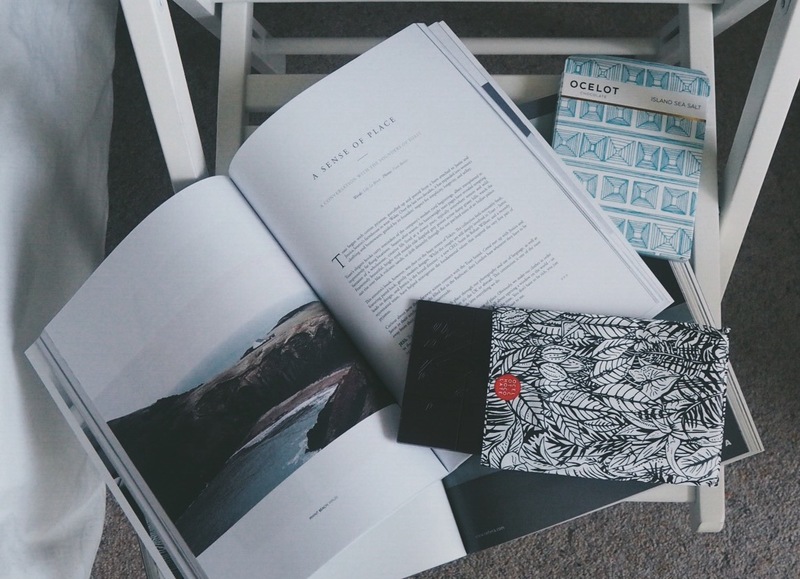 Previously both working as chefs they left their jobs to pursue their dreams and have produced some delicious chocolate along with some cracking art work used for their very stylish wrapping. Anyone would be lucky to receive a bar in their stocking this Christmas, i for one, hope i do. Check out their wonderful flavours and make sure to read their careful instructions on how to properly eat and enjoy your little brown squares of goodness. So we’ve covered gift sets, jewellery, skincare, chocolate and now i guess it’s only right to cover the home makers. 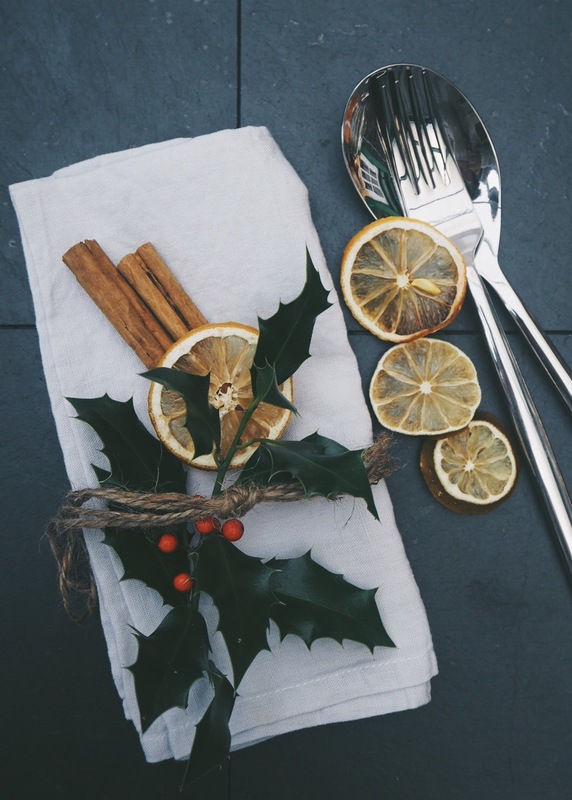 These gorgeous Linen Napkins from Also Home are the perfect gift for any proud homemaker, they’re rustic yet stylish and will look wonderful on any Christmas table. There are loads of great items on their site and you will be sure to find something for that house proud person in your life. I can’t stop looking at their gorgeous ceramics, who doesn’t love a new mug for Christmas? Hopefully you’ve now got the little cogs in your brain working away, filling it up with ideas for what to get those special people in your life. If not, then maybe you’ve now got some ideas of what you’d like for yourself!